War, fire, ice, politics….the story of the The Roanoke River Lighthouse—or more appropriately, the four Roanoke River Lights—could be the subject of a disaster movie or an inspirational book. Today, a perfect replica of the second Roanoke River Lighthouse sits peacefully alongside the Roanoke River. Its exhibits tell the story of this once-bustling port town where schooners, steamboats, and barges frequented the customs house. The river connected the region to the broader world and this beacon protected that connection. Browse the exhibits and discover the fascinating stories. Climb the spiral staircase, step past the lens onto a breezy deck and imagine the lonely life of the keeper, isolated for days or weeks at a time with only his chickens and goats on a lower deck. At the Roanoke River Maritime Museum, just across the street, enjoy a wealth of photographs that share the story of the river's impact on fishermen, farmers, foresters, merchants, soldiers, papermakers…and most of the people who lived here or passed through this place and neighboring towns like Jamesville, Roper and Creswell. 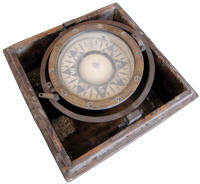 Try your hand (via imagination) at navigating a boat. See native fish in a large aquarium. Discover underwater secrets found by East Carolina University students' underwater archeological explorations including sunken ships from exciting Civil War battles. Exhibits on early boatbuilding help chronicle the evolution from paddle to sail to motor. Visitors will even get to know a little about some of the colorful local characters. 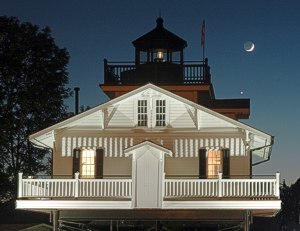 A display by The Outer Banks Lighthouse Society will highlight North Carolina’s famous seaside lights, building anticipation for visitors on their way to the outer banks. 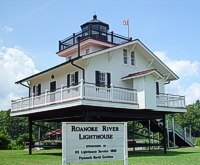 Today, the Roanoke River Lighthouse is establishing a new significance as a visitors attraction and Gateway to the Outer Banks Lighthouses, a gathering place for Plymouth’s annual Wood Boat Show, the popular Cowboys on the Water, and other events. Follow the signs on US Hwy 64 to Downtown Plymouth, NC. Ample free parking for cars, buses and RV’s adjacent to venues. Open 11 a.m. to 3 p.m. Tuesday to Saturday and by appointment for group tours and activities. Call 252-217-2204. Site design by Interactive Communications, Inc.